These markers are similar to felt tip pens, and can be used on bisque. They're easy to use - just push down on the tip until it is saturated and the pen is ready to decorate. 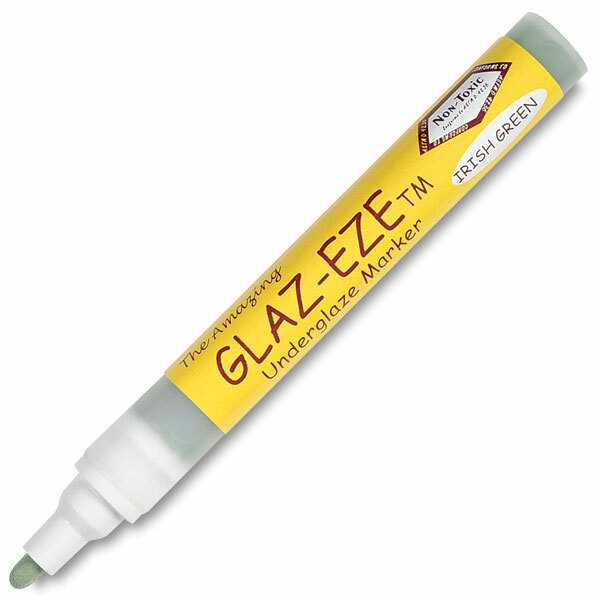 Glaze-Eze markers also work well as an overglaze. They are permanent once fired.  Glaz-Eze is a trademark.